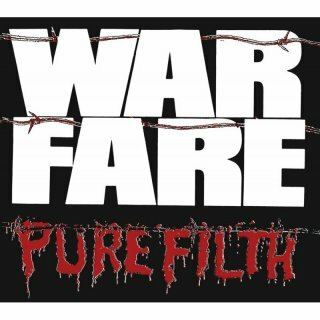 Dissonance Records, digipak, 5 bonus tracks, Originally released in 1984, "Pure Filth" is the debut album by NWOBHM act WARFARE. When the album was released, the band had yet to perform its first gig but this was hardly an issue thanks to the members' prior apprenticeship in a number of punk and metal combos, the most notable being Angelic Upstarts. If you haven't heard the classic real Metal Punk chaos of WARFARE yet, this album is your chance to catch up on them.